Sign up for Broadjam today to follow Pete Lacey, and be notified when they upload new stuff or update their news! 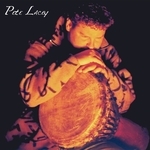 Writer, musician and producer Pete Lacey's debut album presents a captivating mixture of modern jazz floating gracefully over rhythmic beats, blending nuances from Phil Collins, Chuck Mangione and David Foster. iTunes, Amazon, Napster, Rhapsody, Lala, eMusic, Limewire, Shockhound, IMVU or Amie Street. Also check us out on internet radio Jango and last.fm. iTunes, Amazon, Napster, Rhapsody, Lala, eMusic, Limewire, Shockhound, IMVU or Amie Street and more.